Managing and tracking your contacts is a priority for any company that wants to maintain a close relationship with its customers and prospects. Oplead CRM offers you a simple and complete solution. With our solution you can access your contacts information with just a few clicks: address, history, qualifications, targeting etc. Moreover you will be able to have precise vision on the opportunities associated with your contacts and carry out commercial actions using our system of notifications. 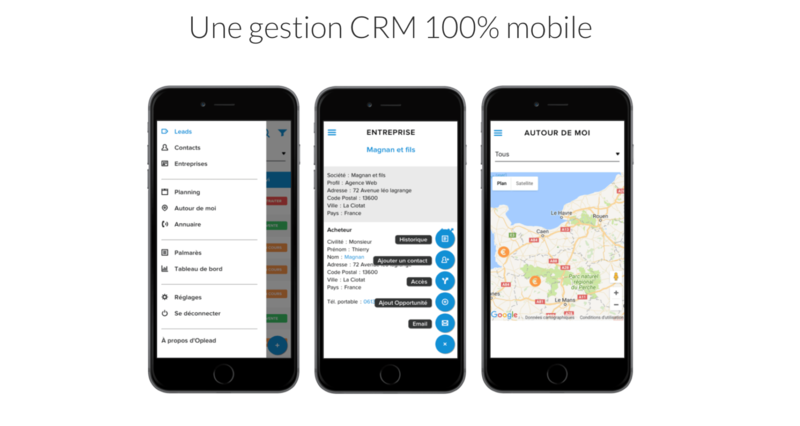 Oplead CRM offers you a mobile version which concentrates all the essential features to follow your contacts while on the go. With just a few swipes on your smartphone you will have access to all your information and be able to carry out commercial actions in any situation.